This piece is part of a series of frames inspired by the exciting natural world that surrounds Carol Canner in her studio and home in West Groton, Massachusetts. 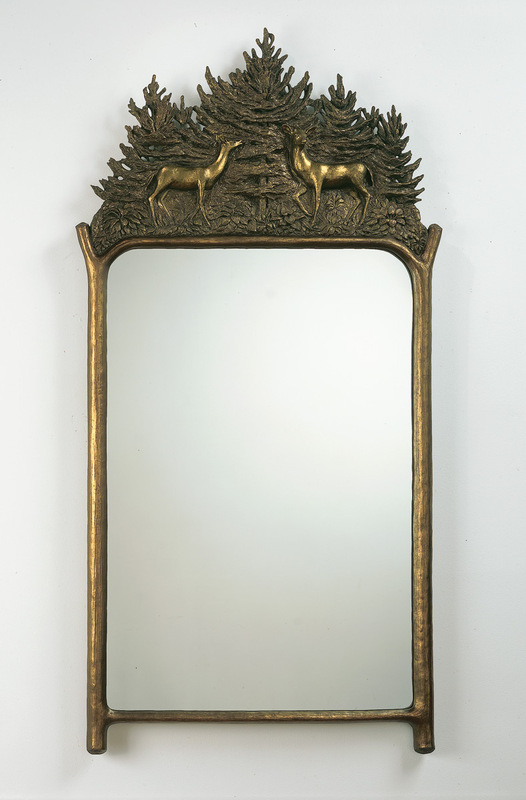 Sculpted in bar relief, a deer couple are nestled between towering pines and hosta flowers. The doe grazes while the buck keeps watch. Shown in bronze its also stunning in an Antique Gold Leaf, Sterling Silver Leaf, or Nickel finish.